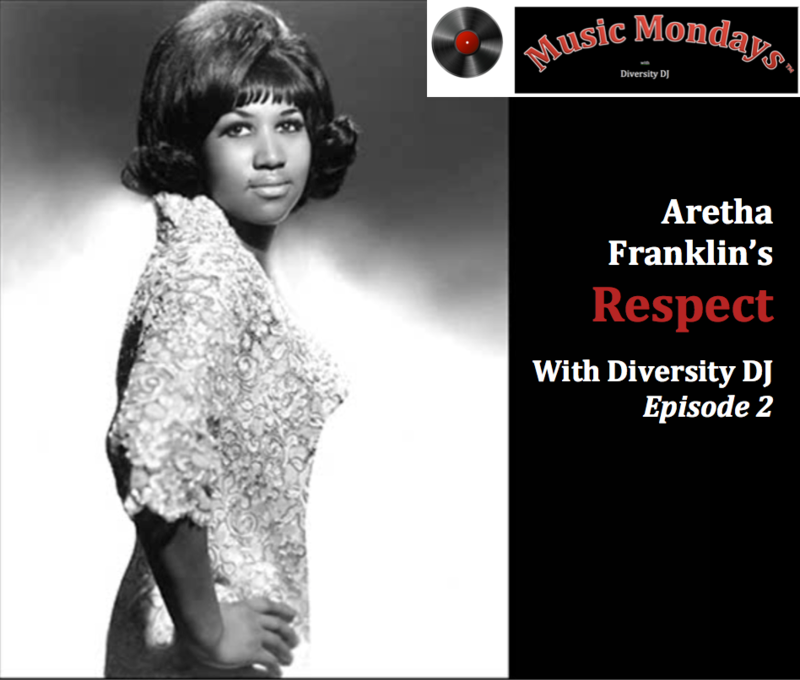 Welcome back Music and Diversity Lovers to this special Double Edition of Music Mondays. Diversity DJ here, spinning the virtual vinyl for your listening pleasure. When we last met in Episode 1, we were listening to Ms. Aretha Franklin give her partner an ultimatum. Now, we’d already established in Episode 1 that you’re living in the world of “Me, Myself & I…and you, and him, they and we.” Just as you have requirements, so do “you, and him, they and we.” We can only guess what Brother Man’s response was to Ms. Aretha’s ultimatum, but I imagine he wouldn’t have been too thrilled. I actually envision Brother Man pulling out his own ultimatum(s). So now we’ve got what I call a Requirements Collision: two sets of ultimatums and no resolution in sight. What to do? Whose requirement should be THE requirement that guides their relationship? A note before we move forward: if you’re not in any type of dating relationship like Ms. Aretha and Brother Man, you may think this discussion isn’t relevant for you. But the concept of requirements can apply to any relationship: you and your children, you and your neighbors. Let’s leave home and go to work: you and your direct reports, the finance team and marketing teams, your company and its employees. And let’s explore requirements to on an international scale: your Country A and “their” Country B or an expanding international conglomerate and the global markets it’s entering. You could insert yourself into any of these scenarios. At the end of the day, no matter how big or small, these are all just relationships that we’re each trying to manage. Everyone has their own requirements. Whose requirements win out? I think it’s time now to add to our requirements conversation and introduce PTCs. No, those aren’t some form of TLC, PYT or BRB. PTCs are Preferences (how we like things to be), Traditions (how we’ve always done things) and Conveniences (the path of least resistance for us to get things done). Every individual (and group) has their own PTCs for every circumstance and situation, both conscious and unconscious: I prefer working solo than on a team. It’s a tradition for me to go to my family’s house for Thanksgiving. It’s more convenient if we just stick with the same programming this year and don’t make any changes. I can hear your brains churning away: how do we know what’s a Requirement vs. a PTC? The short answer is that we already do – at least unconsciously. The long answer: I’ll spare you the technical talk on Unconscious Bias, but basically our brains have already mapped out what we like (preference), what we’re used to (tradition), what’s easiest for us (convenience) and what things are non-negotiable (requirements). These have been forming and crystalizing starting day one fresh out the womb and are daily, constantly being reinforced. They’re so ingrained that we don’t often have to think about Requirements or PTCs at all; we can function on auto-pilot and zip through the day. We only become conscious of these mappings when our individual collection of Requirements and PTCs runs smack dab into someone else’s collection of Requirements and PTCs – and they’re not the same. Then we have a Requirement Collision. That’s what we have with Ms. Aretha and Brother Man. 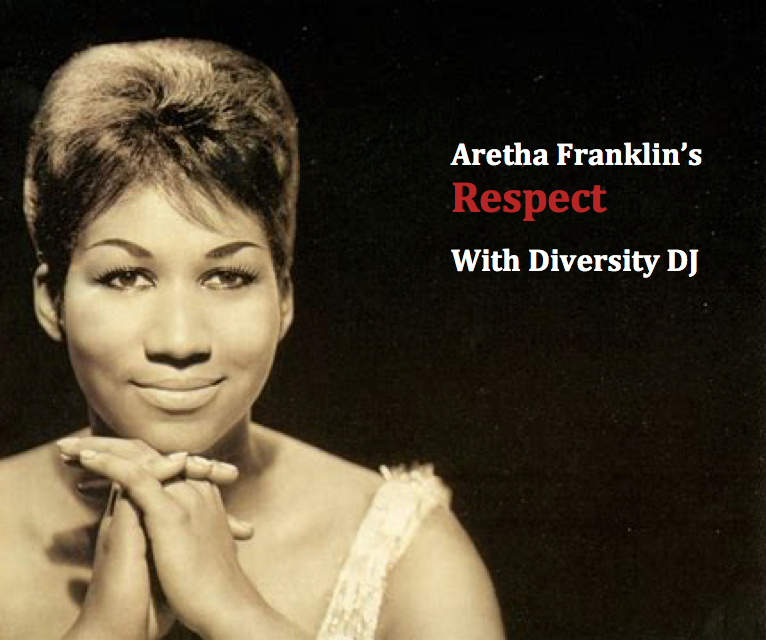 When you find yourself in a Requirements Collision like Ms. Aretha and Brother Man, what should you do? Your gut reaction will be to go into “fight or flight” mode, but thankfully we are rational beings who can learn to push through that instinctive response. I tell everyone to Breathe. That can mean: start breathing, keep breathing, breathe deeper, or breathe mo’ deeper! I encourage you to enlist the help of friends to help you “breathe” and allow you to vent at them vs. at the person with whom you collided. Do whatever you need to do to help lower the elevated levels of adrenaline that have kicked in as a result of the collision. That tension and stress that you’re feeling because of this collision? It’s not good, it’s not bad. It just is. It’s the interpretation we have assigned to the tension that causes us to view tension as good or bad. All the tension is communicating is “Hey there, my status quo has changed. I’m feeling uncomfortable and I’m not sure how I should respond.” Keep breathing until you can become (more) comfortable with the existence of that discomfort. You still might not know how to respond, but you’ll be calm enough in your mind to take the next step. Once you’ve reached a greater place of comfort with your discomfort, ask yourself a few questions. Why did you decide to partner with this person in the first place? Is that reason still valid today? These are questions you need to answer for yourself, apart from your partner’s considerations. Your partner will need to do the same for themselves. It may be that in reexamining purpose, you discover that you really shouldn’t be in the relationship. If you decide to end the relationship, just be sure you’re not doing it to run away from relational tension. Whatever tension you don’t address accurately in this relationship, that tension’s got a GPS tracker on you, and it will find you in your next relationship. If you decide to stay, then you’ll need to talk with your partner. Do they still wish to pursue the purpose for which you two originally came together? If so, can you both identify and share your individual requirements for the relationship? This means you’ll have to TALK with each other. Hear each other’s perspective. This is an essential piece in relationship building and repairing. What you’ll likely discover is that you’ll have some requirements that are mutually held, and some that are not. This is where we may discover that some “requirements” really are just PTCs dressed up as requirements. It could be that what was a requirement yesterday has now become a PTC. Only a brutally honest conversation with yourself and with your partner will help surface true requirements which you both can honor. ALL requirements should be surfaced and addressed – even if in the midst of discussions, we discover that that “requirement” is really a PTC. Otherwise, that undiscussed “requirement” will become a thorn in your collective sides, and you’ll be having the same conversations, year after year and making little progress: see #metoo #unions #blacklivesmatter #bluelivesmatter #immigration #techanddiversity, to name a few. the PTCs are not deal-breakers. What’s key here is to agree that PTCs are things you will each accept, remain neutral about or tolerate. Yes, I said “tolerate.” I know it’s not a popular approach in today’s diversity circles, but it remains a valid response option. More on that in a future episode. When you feel a relational tension rising within yourself, ask yourself: am I being triggered by a requirement or a PTC? If a requirement, then you may need another discussion with your partner. If a PTC, then you need to have a talk with yourself and do some more breathing. Learning to turn away from PTCs and focus on requirements is a practice that takes practice. But it is a skill that if learned and mastered, can help you address relational tension in a more effective manner. Because requirements and PTCs can shift can swap places over time, it’s important to regularly reexamine if your requirements are still requirements. The frequency with which you do this depends on the nature and frequency of change in your relationship. In an ideal world, our relationships are constantly growing. Our requirements and PTCs should grow along with them. Don’t Have Time For 5-Step Process? Sometimes we find ourselves in urgent situations and don’t have the luxury of being able to think through a multi-step process. What do you do then? Ask yourself this one question: What’s required? Or a variation: Is this required? If you realize you are dealing with a true requirement, take time to respond accordingly. If not a requirement, put it on the backburner until later. Time and urgency do wonders to help clarify what’s a requirement and what’s not. What Happened to Brother Man? We’ll never know what destiny had in store for Ms. Aretha and Brother Man. Perhaps they were able to reconcile and she ended up singing “You Make Me Feel Like A Natural Woman” to him. Or perhaps they parted ways and she sang him “Chain of Fools” as she kicked him out of her house. Whichever song you may sing to your partner, just be sure it’s done from a place of requirements and not PTCs!